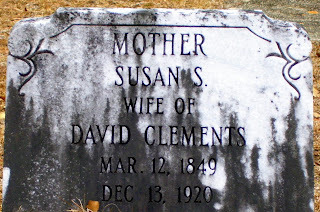 David Clements married Susan Whiddon. 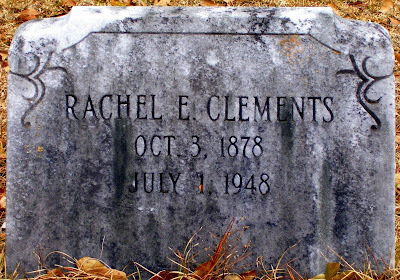 Children: A. E. Clements, who did not marry; W. A. Clements, who married Sara Smith; J[ames] P. Clements, who married Mary V. Smith; J[acob] Y. 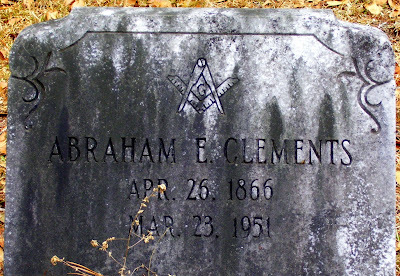 [E?] Clements, who married Mattie Cobb; Nancy Clements, who did not marry; Rachael, who did not marry; Julia [Judia], who did not marry; Susie, who did not marry; and Lola, who married J. D. Boatwright. 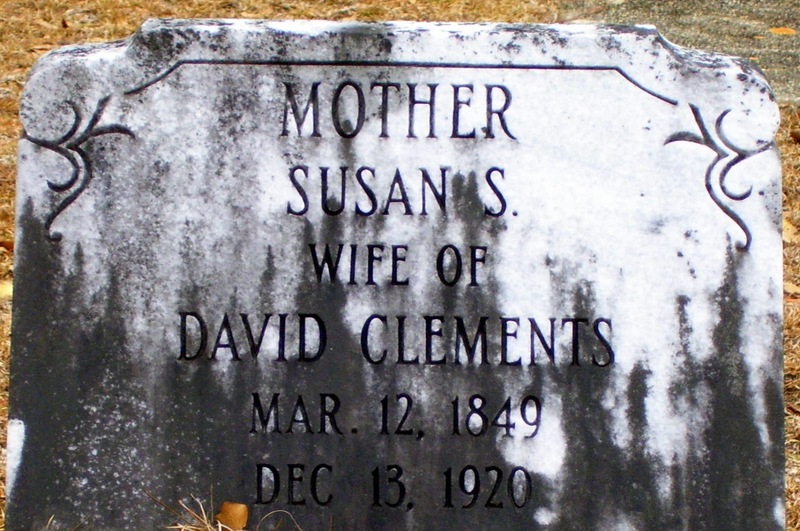 In Irwinville Cemetery, David's tombstone is the largest of his family's markers. 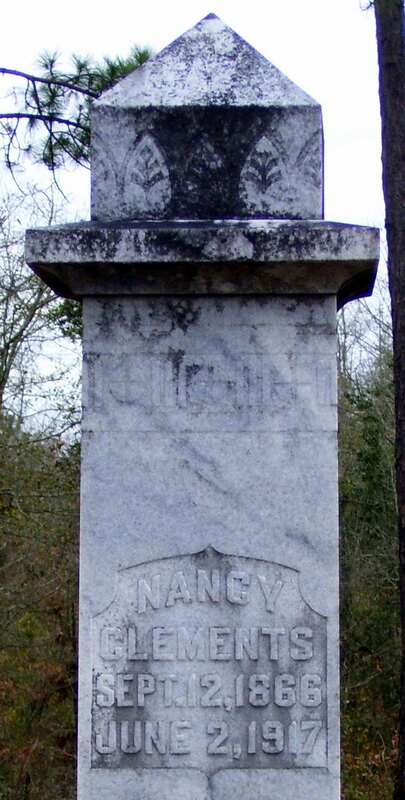 Next is Nancy's. 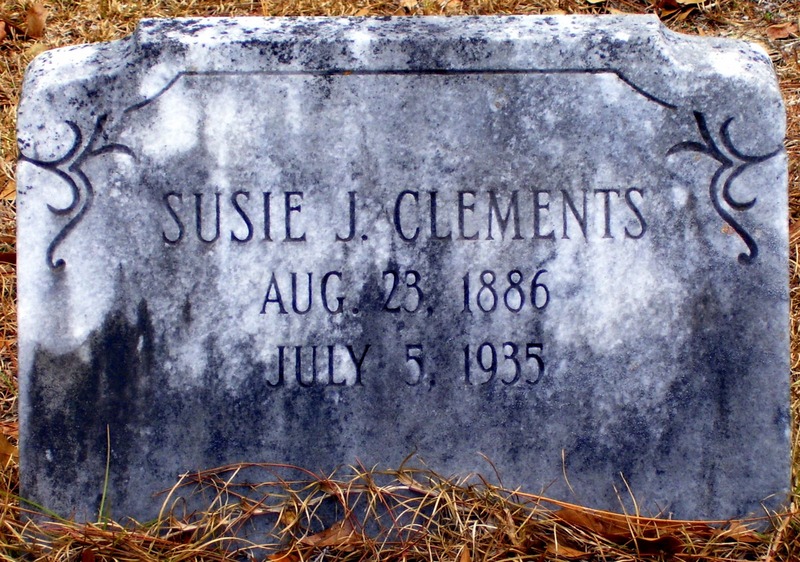 After that, mother Susan and the rest of the children have relatively small plaque markers. 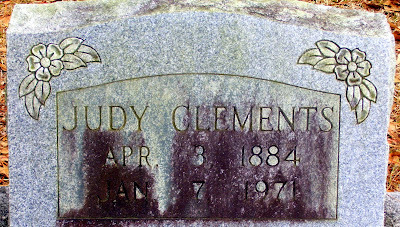 I think Nancy's stone is larger simply because she died before her mother (and less than seven months after her father). 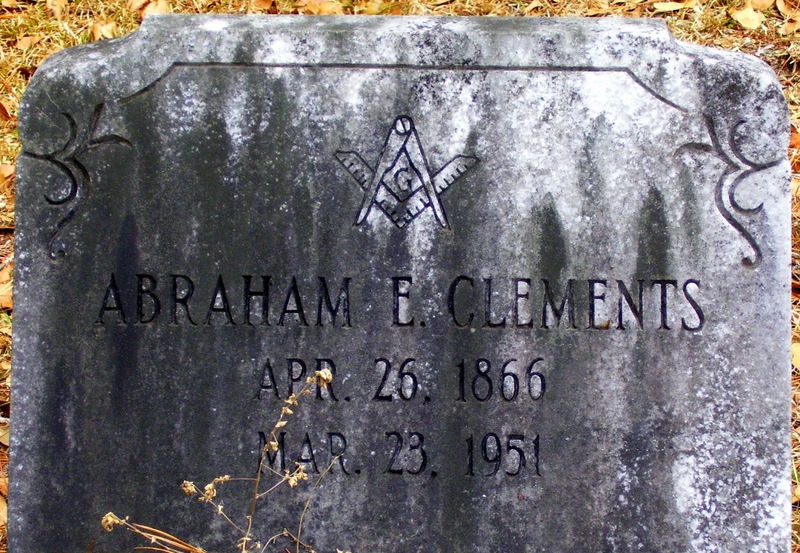 At least eight of David's ten children are buried in Irwinville Cemetery. I photographed five of them. Many memories here with my family.